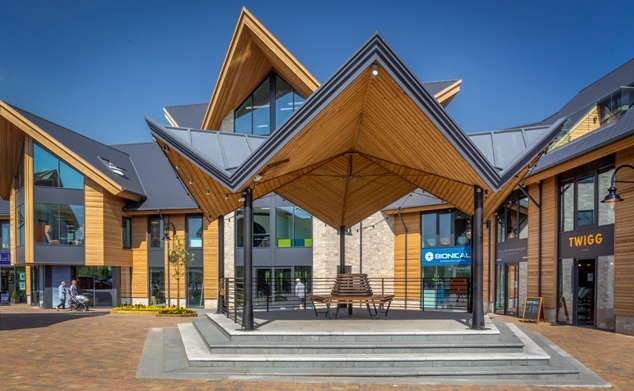 During the construction of the award winning Boardwalk building Mercia Marina wanted to create sense of purpose to the end of the Peninsula. Looking forward permission is in place to build the Piazza and Tower building however in the short term plans needed to be made to draw customers to this area. The Marina had already instructed a landscape architect to produce plans for how to landscape the area. 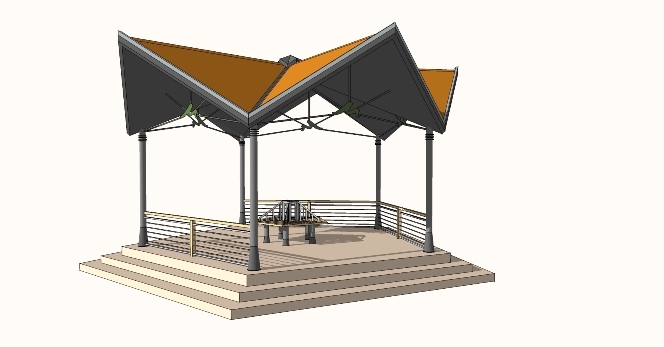 The client wanted to create a traditional Victorian bandstand which could be used for events and seating. 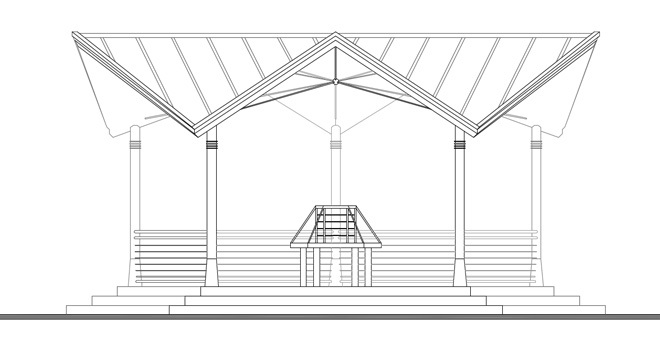 Through consultation with the local authority the principle of a bandstand was agreed but the design should be a more contemporary structure in keeping with the Boardwalk building. 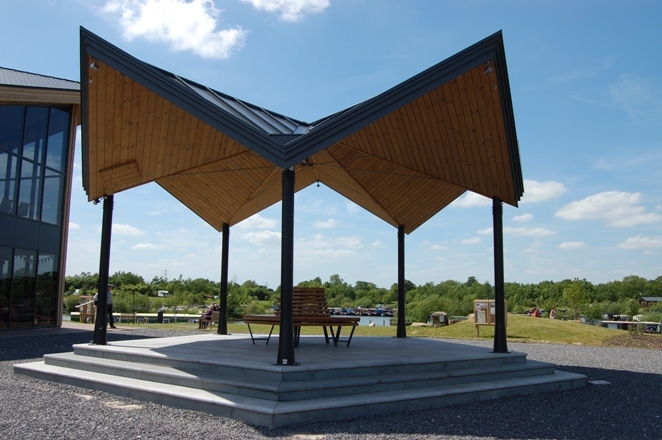 The outcome was to produce a five side bandstand with projecting prow ends to replicate the feature gables on the Boardwalk building. 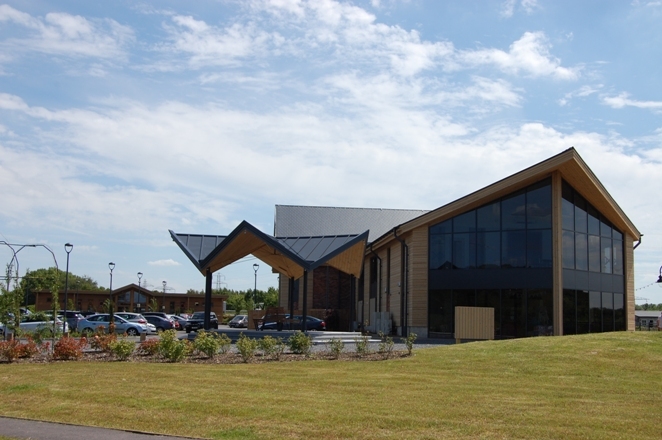 The roof was constructed from a standing seam metal roof coloured to match the aluminium on the Boardwalk. 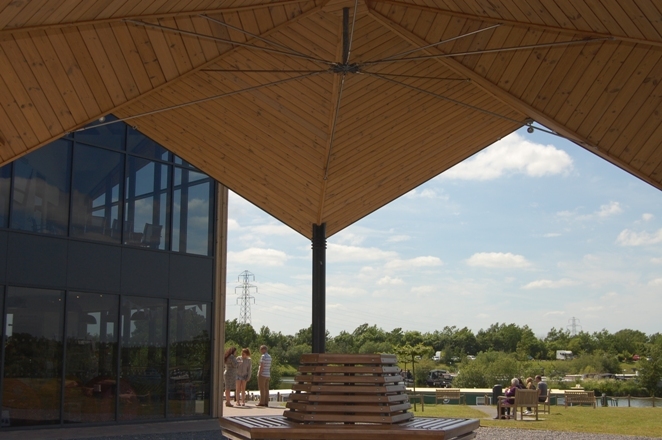 The underside of the roof was clad in matching heat treated timber boarding.